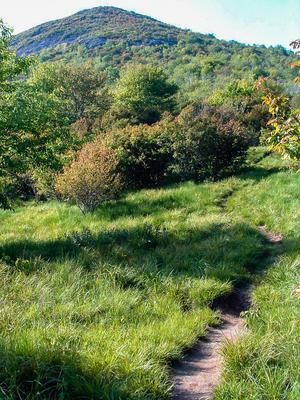 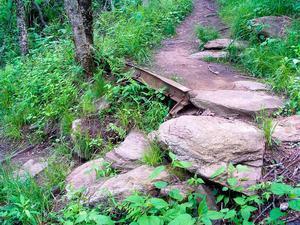 This trail is located in the Black Balsam area. 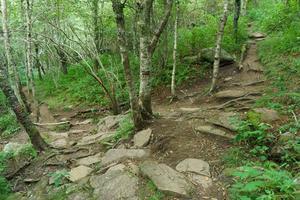 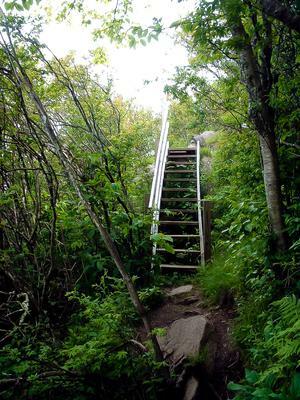 For a list of all the trails in that area, see the Black Balsam trails list page. 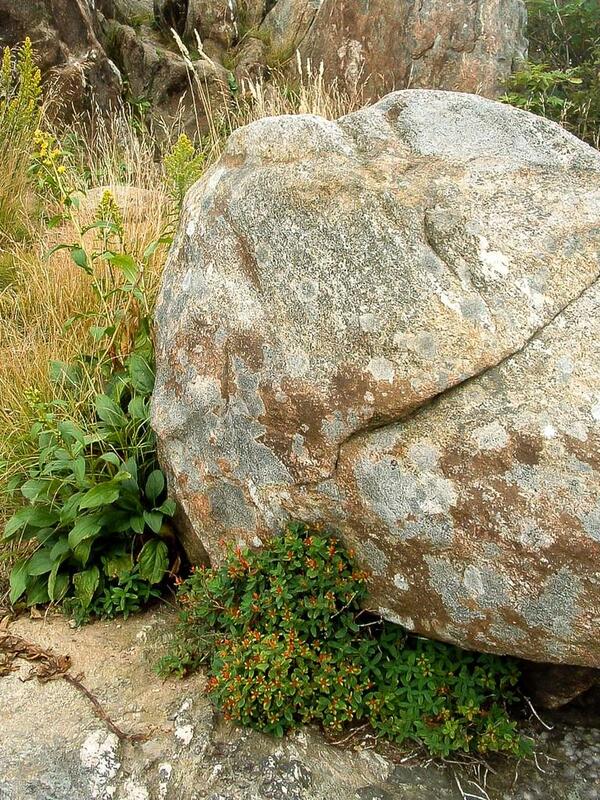 Fantastic, high elevation trail. 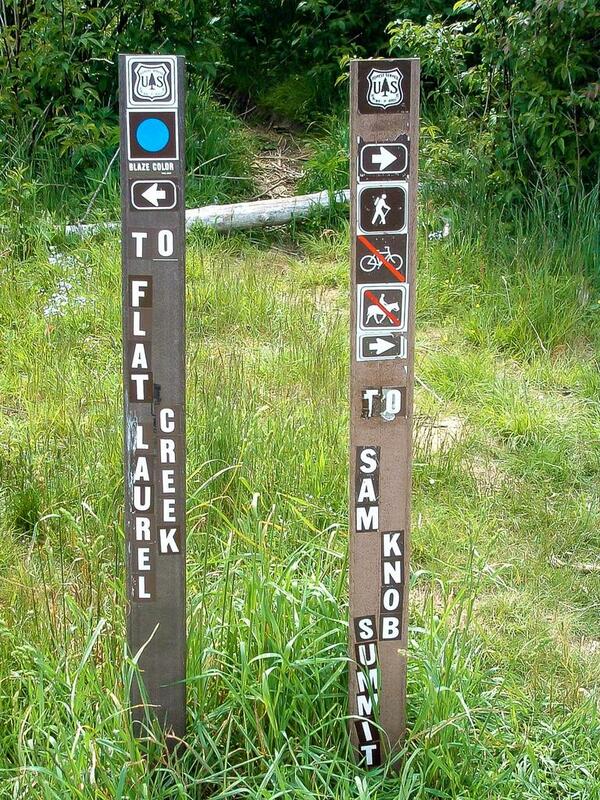 Starts at the Flat Laurel Creek trail and travels to the summit of Sam Knob. 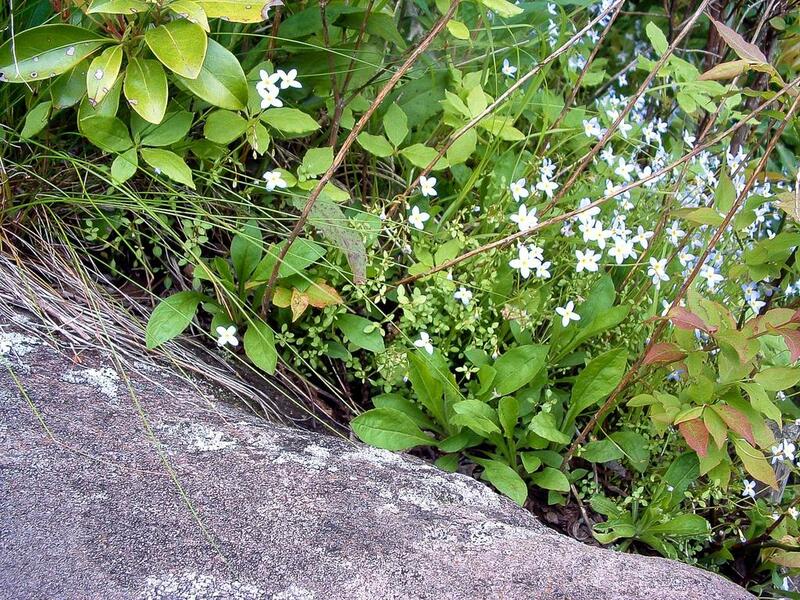 Blueberries abound in season. 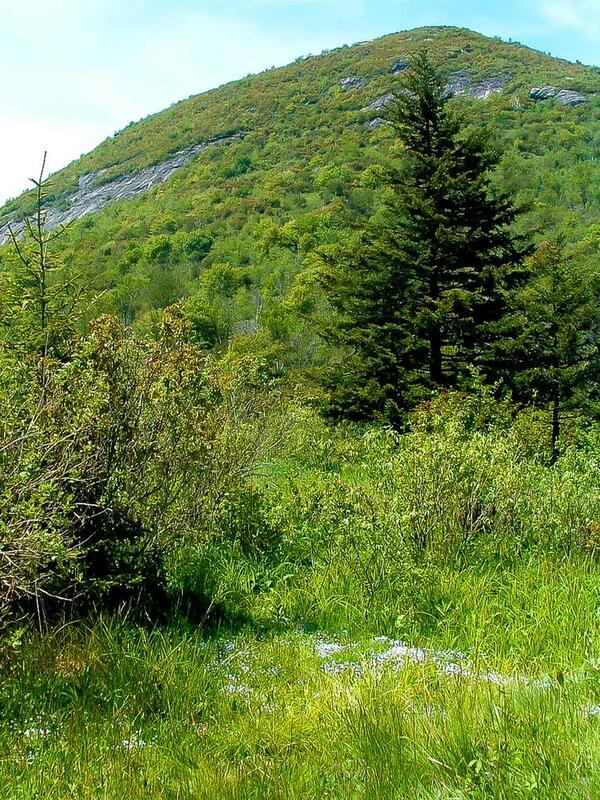 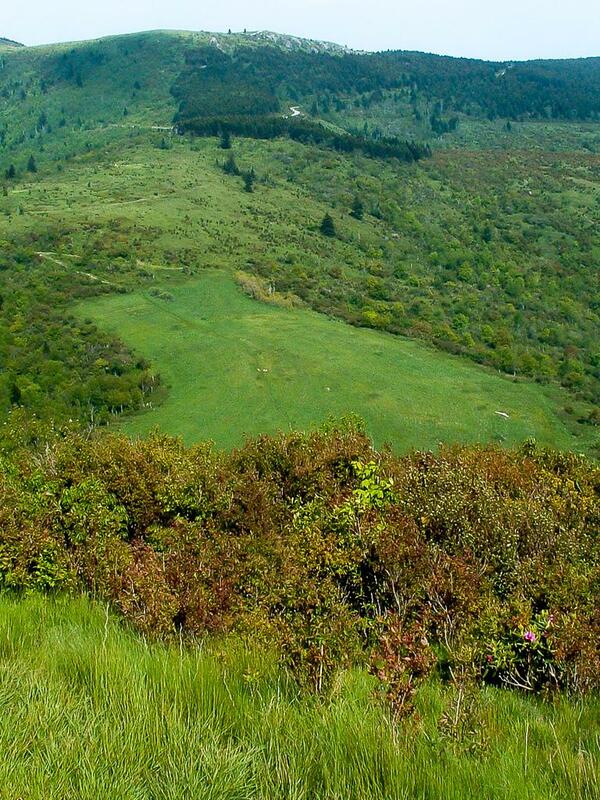 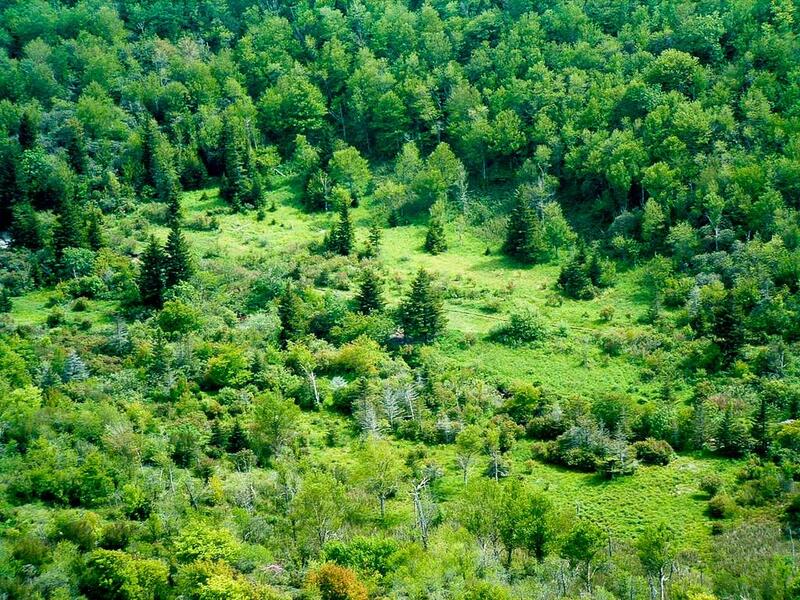 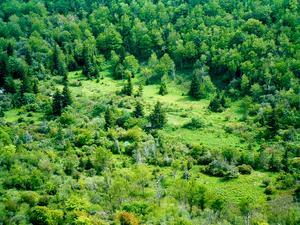 Short, high-elevation hardwood forest near the bottom, then heath balds and grassy areas near the top. At the summit, the trail forks and goes to both the north and south high points on the knob. 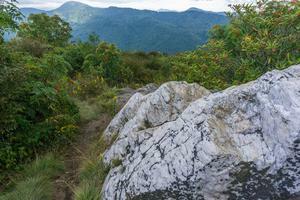 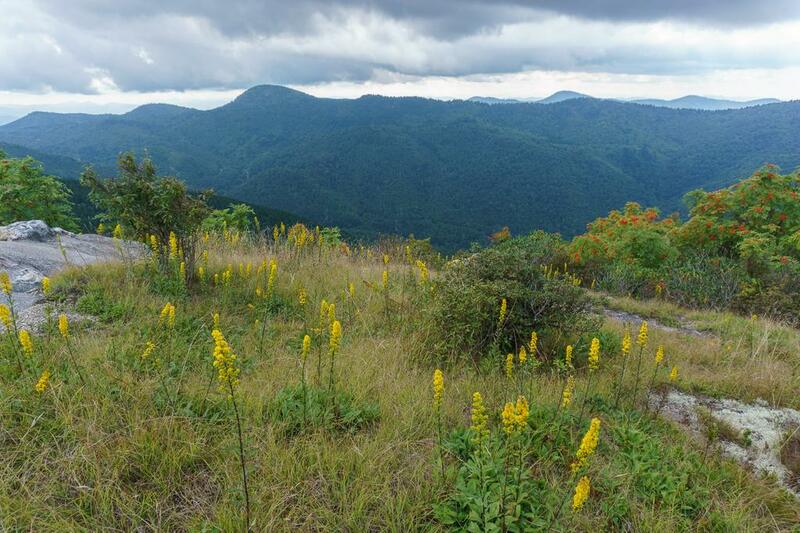 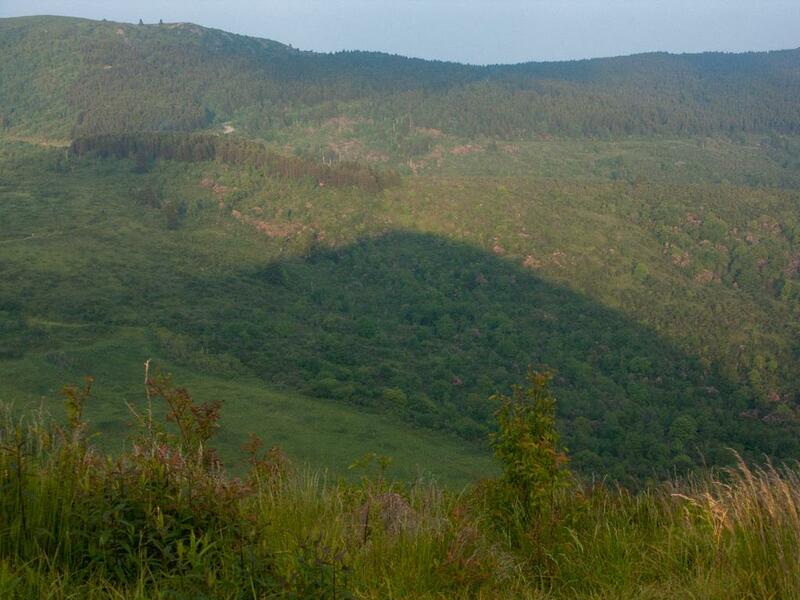 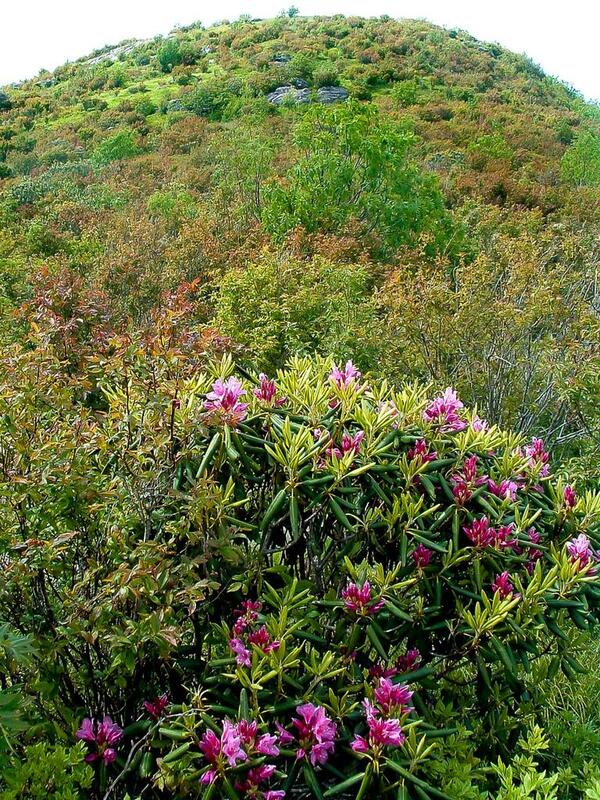 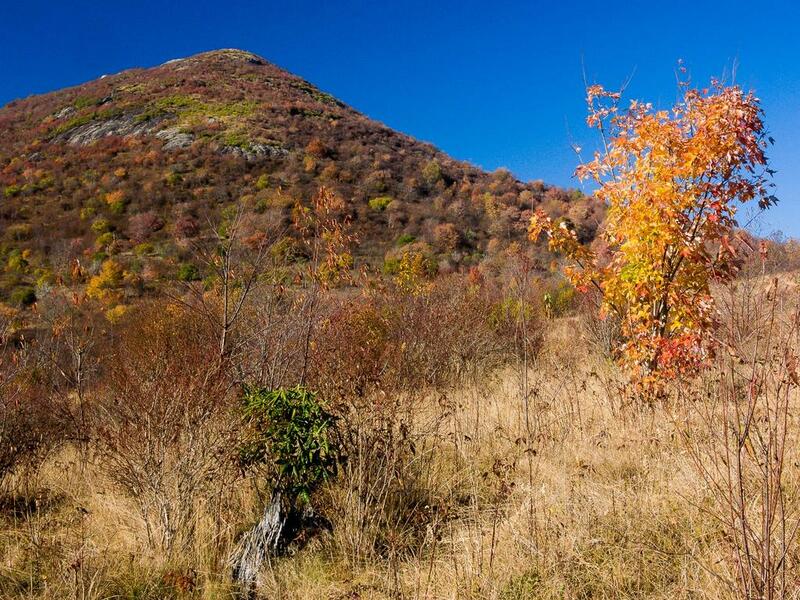 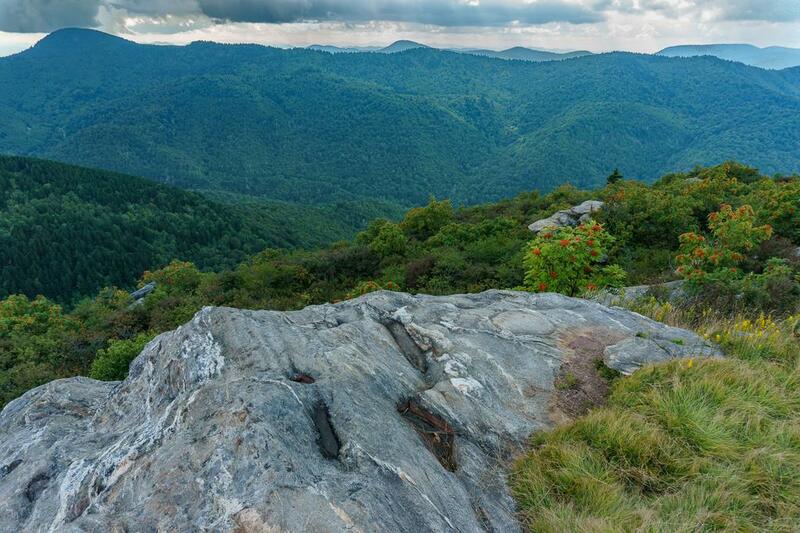 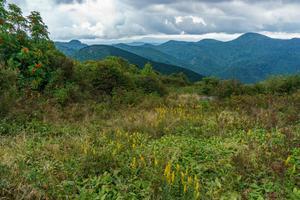 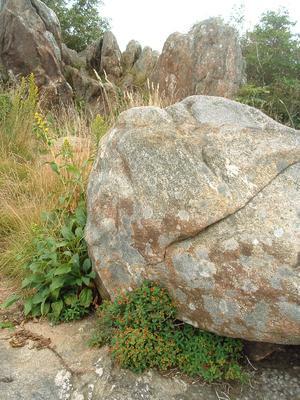 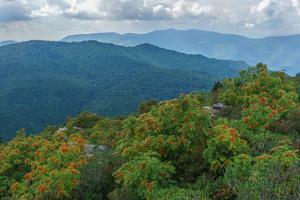 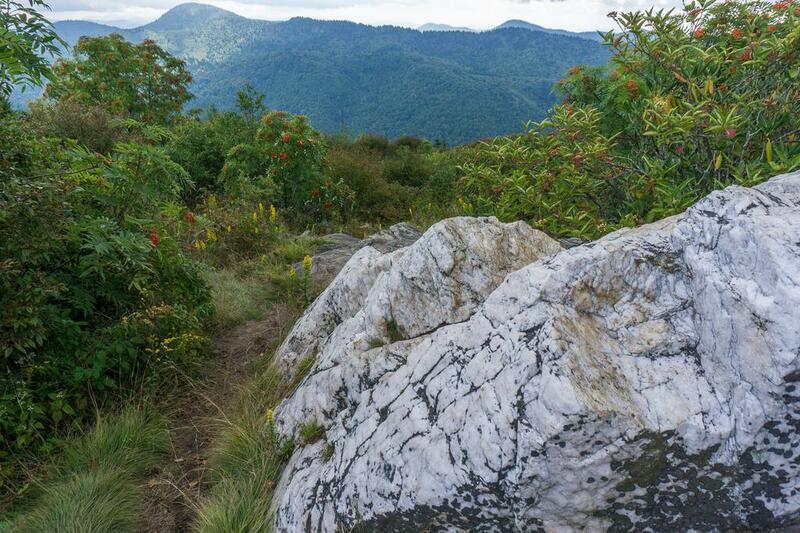 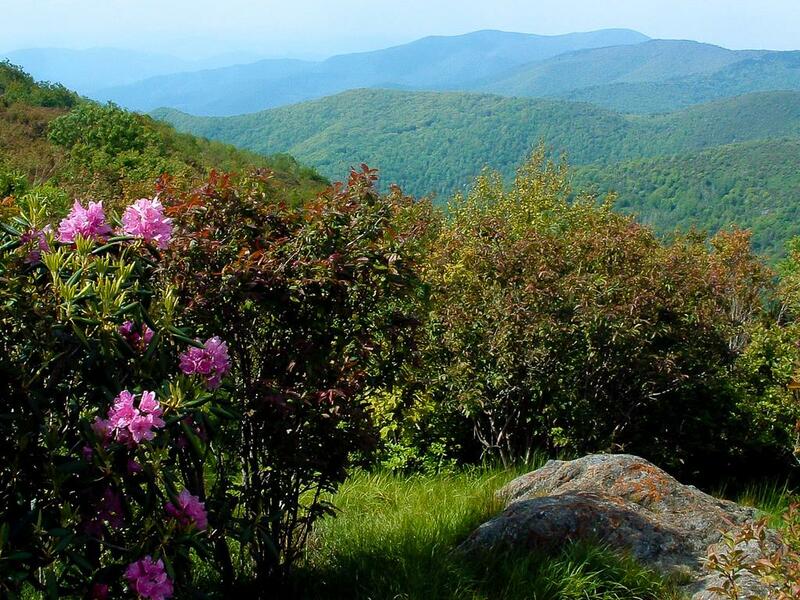 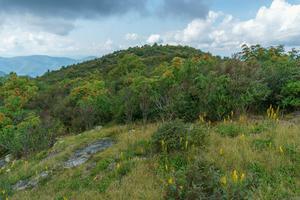 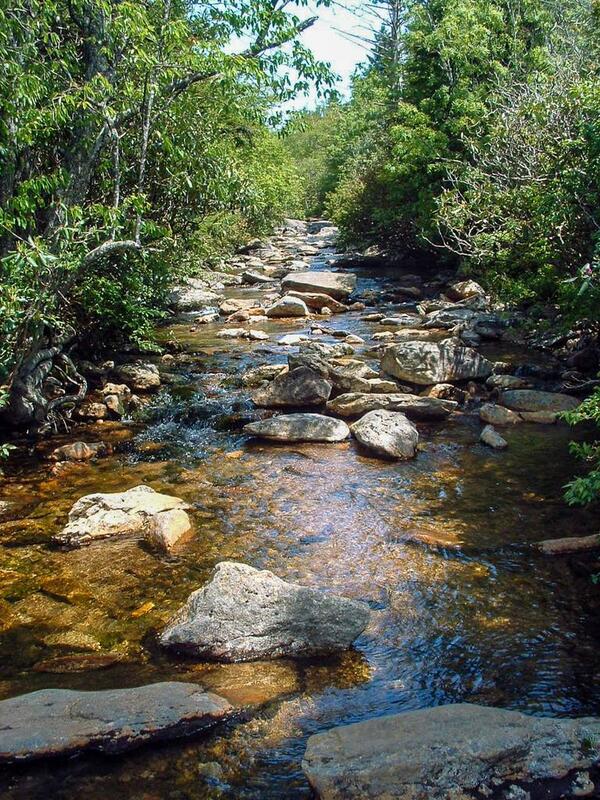 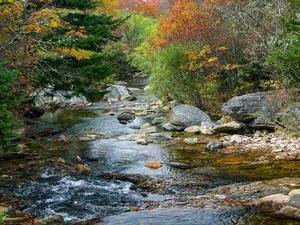 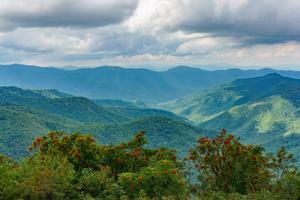 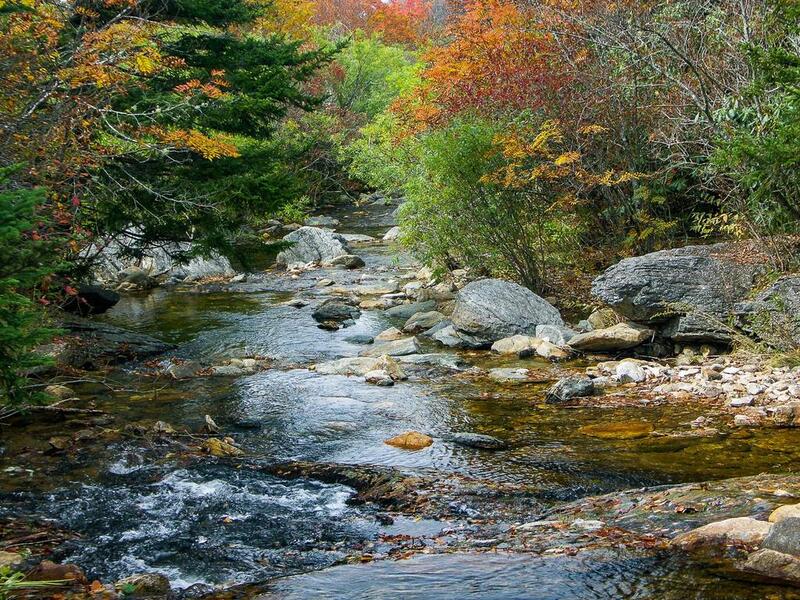 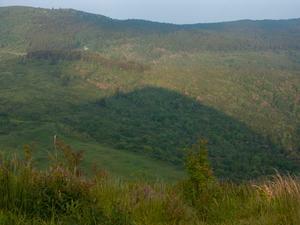 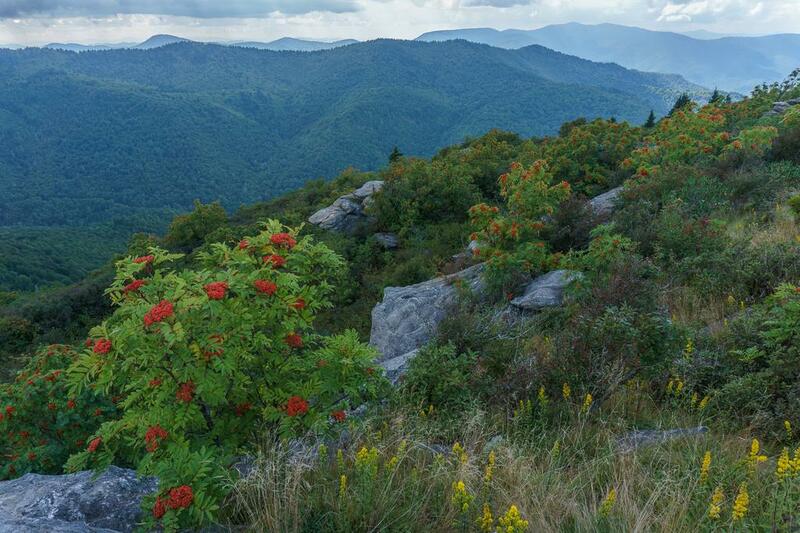 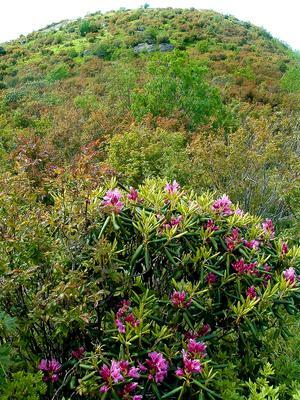 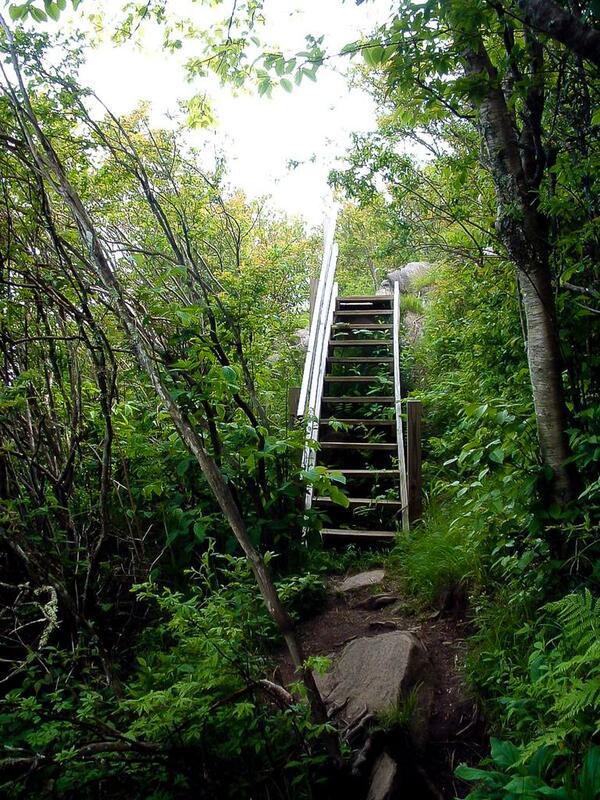 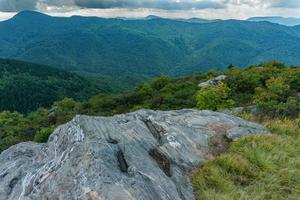 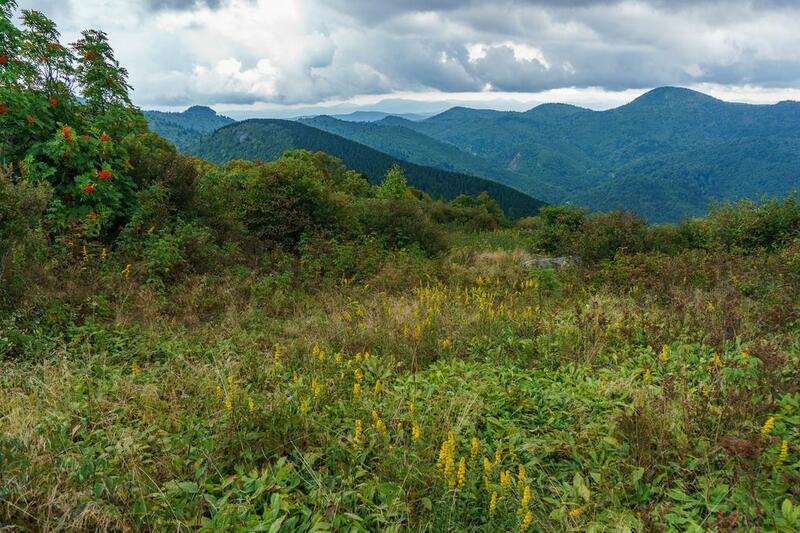 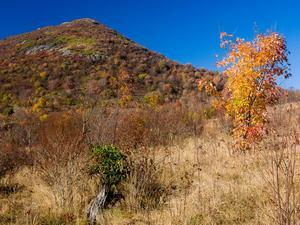 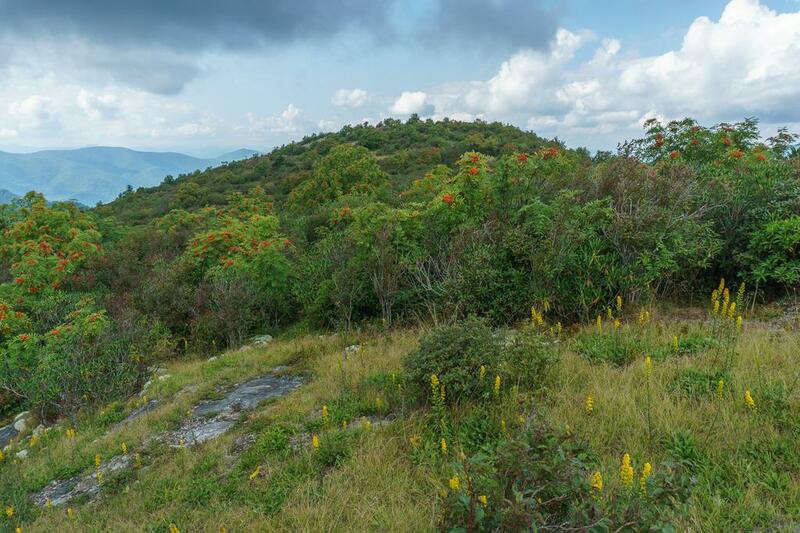 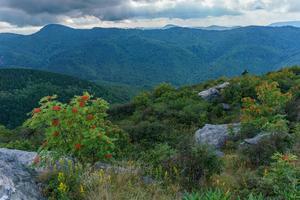 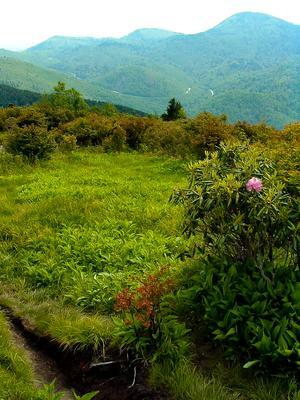 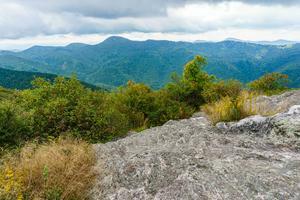 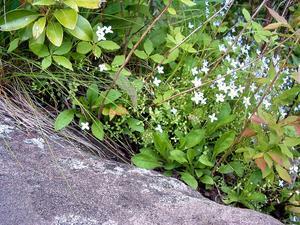 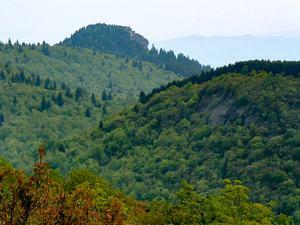 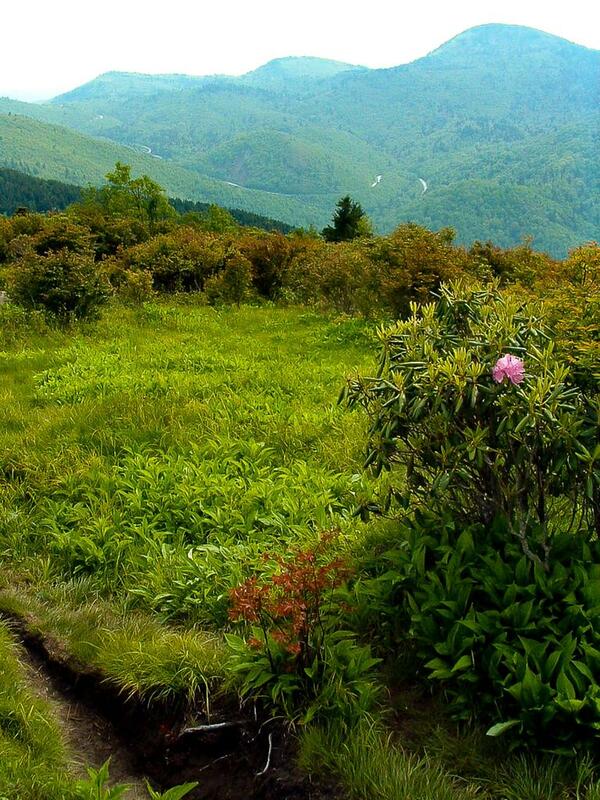 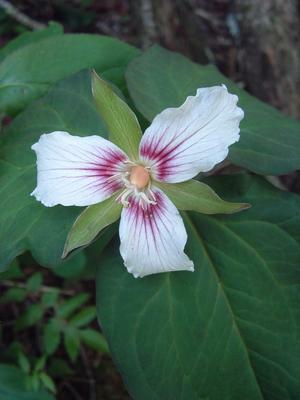 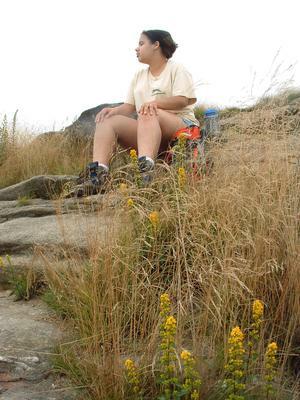 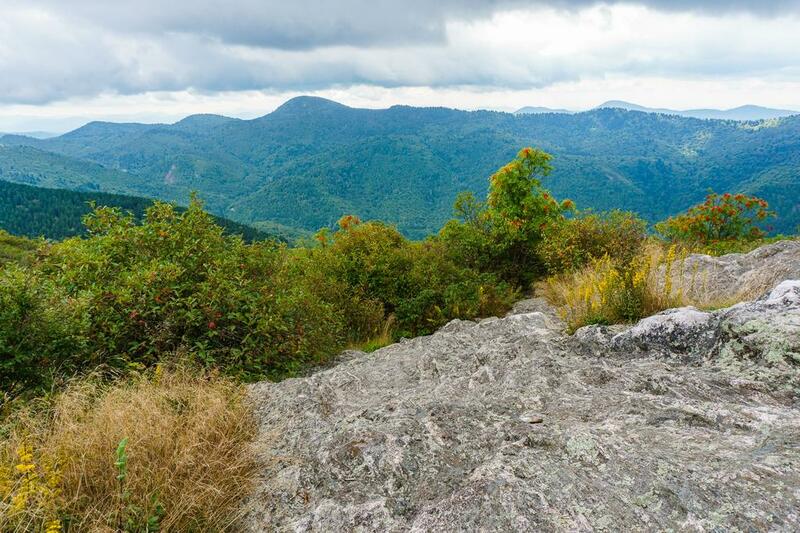 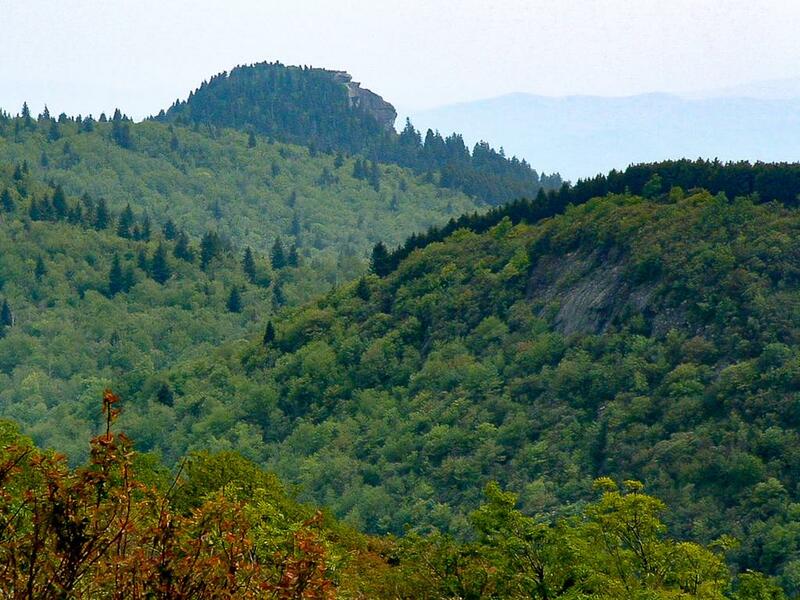 Both directions end at overlooks offering spectacular views of the Middle Prong, Shining Rock, and Black Balsam areas.